In December the IT Masters team travelled up to the Wagga Campus to celebrate Graduation with our students and marked another great year in partnership with Charles Sturt University. We had the opportunity to speak to many of the Graduates at the event and loved hearing about their stories and experiences in studying with us. It was a great chance to find out how dedicated they were, often juggling study with the challenges of full-time work and family life. Notably, it seemed to be a very popular decision to start a Masters and a family simultaneously – we had plenty of toddlers joining in the celebrations! Can I Get Credit? Am I Eligible? You can read more about Andrew’s studies here. We often hear that the biggest challenge facing students is effectively balancing their time. Udaya Govinna (Master of Networking and Systems Administration) achieved outstanding results throughout his Masters by dedicating himself to his studies and challenging himself to obtain a Microsoft certification despite having a more in-depth prior knowledge of Cisco. Taking a different approach by choosing to stretch out his studies over a longer time was Kyle Rosenthal (Master of Management (IT)). Kyle has been a student with IT Masters since 2006 and we were very glad to see him complete his Masters this year! Udaya and Kyle answered several more questions about their experiences. Travelling by far the greatest distance to attend graduation, Victor Ekpoke (Master of Database Design and Management) came to visit us all the way from South Africa and was awarded the IT Masters Graduation Prize for Database Design and Management due to his excellent results. I am responsible for decisions and hands on regarding strategic database development projects within the entire business intelligence environment and across the group, which includes databases development, enhancement and Maintenance, Dimensional modelling, ETL, Data Mapping, Data Integration and Data Warehousing. Yes, immediately I completed my Master’s degree, I became so vast and knowledgeable in my place of work that it positively affected the way I worked, and I had a raise in salary and moved from been Data Warehouse developer to become the Data warehouse Manager. Studying from South Africa was a bit challenging as the time zones were significantly different. Sometimes you might be required to take a test almost at the same time with other student. However, with the help of the flexibility of some lecturers and the friendliness of other international students made it more worth it as I became more aware that I am not the only international student, as there are other students studying one subject or the other with me from around the world. IT Management issues and Topics in IT Ethics. It was so rich in content that I could speak or make arguments with a couple of my friends that had MBA’s from world class universities. The course affected the way I reasoned as a professional and as a human being. Overall, I love the way Charles Sturt and IT Masters structured their course as it combines different aspects of ICT issues. I might have done 12 subjects; moreover, they are so diverse. Beau Dwyer (Master of Networking and Systems Administration) was the very deserving winner of the IT Masters Graduation Prize for Networking and Systems Administration. A work colleague was looking at the IT Masters courses and they sounded like they would be a good option me, having not completed any Uni previously the idea of getting a Masters with a few years study was very appealing, and it seemed to recognise my experience in the industry better than other options. My title is Senior Network\System Analyst. Myself and another Network\Systems Analyst take care of approximately 40 Network devices and 60 Servers. As the senior staff member I am also in charge of projects and future planning. Not really, as you can see from my job title and the course name I do work in a related role. My goal in completing the course was to show on my CV that I have not only the on job experience but also the technical knowledge and theory behind it. This was not to further my career but to ensure if I do change roles or look for advancement that my CV was more complete. Time, this was by far the hardest part of studying and working full-time. Finding the time to complete the hours of study required. The time is always there, but there are so many things fighting for your time, and many of them are far more attractive that sitting down to study, you need to be strict with yourself and designate dedicated study time if you want to achieve good results. I have found as a mature aged student I was more driven than when I last studied, it had been more than a decade since I completed study at school and Uni and I really didn’t know what to expect from myself at the start. Some good results in the first couple of subjects did help set the bar a bit higher than I might have expected, and so I was striving to keep it there, managing to even improve as the course went on. I found ITC-597 “Digital Forensics” to be the most rewarding subject, mainly due to the fact that it was far removed from my day to day work and that it shed some light on some of the ways used to recover and find data. 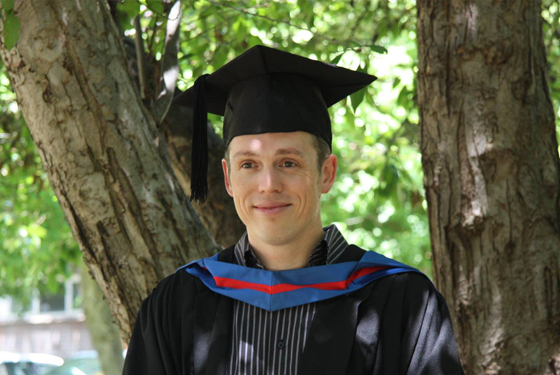 Brian Cannell graduated from a Master of Project Management with CSU via the Graduate Certificate pathway. 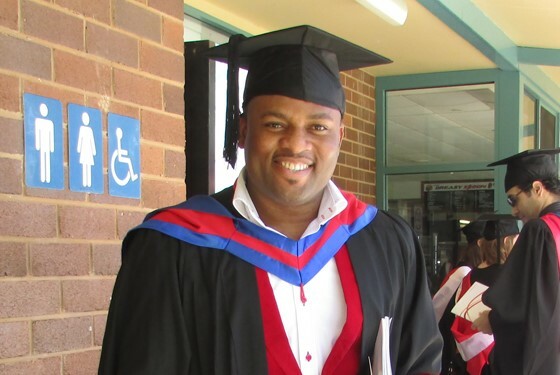 His years of experience in IT and the Corporate Environment meant that despite not having an undergraduate degree he was still eligible to attain a Masters. This is a common pathway for many of our students wanting to work towards gaining their Master’s Degree without completing any additional subjects. As a Senior Project Manager at Geoscience Australia I am responsible for establishing the tactical plan for delivery of projects including the transition in to ‘business as usual’ operation once they are completed. This involves stakeholder management, risk management, scheduling, budget management, reporting and generally just ensuring that the outputs are delivered to an agreed scope and quality standard. A large part of this involves ‘people management’ and managing teams. Absolutely, I am much more self aware in my communication. I am also confident in the ‘hard’ skills that I now posses in project management, for example: earned value, critical path analysis, probability, cause and effect, improvement curve, NPV, IRR, Payback, advanced scheduling and network analysis, resource levelling etc. I now feel that I am much better placed to advance my career (if/when I choose to do so). At the present time I am very happy doing what I do at Geoscience but it is always nice to know that with the additional skills and knowledge (and qualification) that I now have, I would be better positioned for opportunities and/or to take on new challenges in the future. It wasn’t easy. I was balancing full-time work, family (when I started the degree we had just had our first child and 18 months later had a second). I really had to be disciplined and there was virtually no time for recreational activities such as family, gym and music – the three things I am most passionate about. I found a couple of the units quite difficult as I was completely unfamiliar with the concepts so went in cold – for example Managerial Finance to me was the hardest unit – my advice to people doing that unit – don’t cram, you may get away with that for other units but for finance (if you have never done it before) it is better to build your knowledge over time and practice the exercises over and over! I must say I was very relieved when I passed that unit, although at the time it was very stressful for me. I am now very conscious of the above when I communicate. For example if I send an email, I ask myself is it consistent with the above? Have I delivered information that creates understanding that inspires action? Whilst something as simple as the above quote may seem obvious, it is surprising how often these principles are not followed in everyday communication. This is just one quote of many and a tiny part of the overall unit, but it definitely has stuck with me. Since applying the principles of what I learned in this unit at work, I have noticed a boost in my career; the relationships I have and my overall communication effectiveness to the point where last month my Division Chief presented me with the ”Performer of the month award” at our end of year Divisional briefing. I attribute this partially to some of the skills I learned in communication/stakeholder management from the subject. Whilst I was quite confident in my communication ability prior to the subject, I felt that the subject nicely consolidated what I already knew and gave me new and different perspectives that took my communication capability to the next level. This is now paying dividends in both my professional and personal life. I have a side business writing and producing music for recreational and commercial purposes. I often find that some musicians can be ‘unique’ to communicate and/or establish productive relationships with. The communications skills I learned in this subject are quite transferable to this situation. This short course is designed to partially prepare you for certification as an EC-Council Network Security Administrator (ENSA). The ENSA certification program looks at network security from a defensive view. It is designed to provide fundamental skills needed to analyze the internal and external security threats against a network, and to develop security policies that will protect an organization’s information. You can find out more or register for this course here. If you are unsure about whether or not you are eligible to study with IT Masters please fill out our Am I Eligible form.